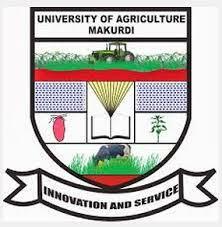 The management of the Federal University of Agriculture, Makurdi has started the sale of form for Admission into different Sandwich Programme 2018/2019 Academic Session. This is to inform the entire public that the University of Agriculture, Markudi (UAM) has placed on sale the Form for Sandwich Programme, All interested candidates who wish to apply for any of the programmes should proceed to get their Form immediately. All interested Candidates are to visit: http://entry.uam.edu.ng/sw/ to create an account online by providing your email address and choosing a password (if you have not done that previously). Upon creation of an account, a unique application number will be issued. Copy the application number in a safe place (An email will be also sent to you containing your application number if your email address is valid). It is your reference number throughout your application. A confirmation slip will be issued to you containing a 14-digit unique number as Payment Identification Number (PIN) which will enable you to continue your application. Please ensure this number is on the slip printed. To create the account, enter your Email Address. This will be used as your user name. We will also use this email address to contact you regarding your application. Type in the security code (case-sensitive). This helps protect our online application service. Enter your password. Select a password that is easy for you to remember, but is not obvious to others. It must be at least six characters long and should contain numbers and letters. Finally, click the “Create Account” button. You will be asked to confirm your password. Please Click On the Facebook Share Button And Share With Others, Thanks! Kano University Of Science And Technology (KUST) 2017/2018 Revised Academic Calendar.